Liam Neeson, Vera Farmiga, Patrick Wilson et al. 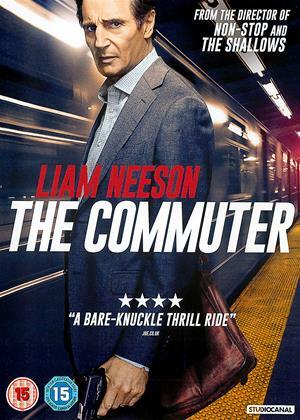 Insurance salesman Michael (Liam Neeson) is on his daily commute home when he is contacted by a mysterious stranger (Vera Farmiga), and forced to uncover the identity of a hidden passenger on his train before the last stop. As he works against the clock to solve the puzzle, he realises a deadly plan is unfolding and is unwittingly caught up in a criminal conspiracy. One that carries life and death stakes, for himself and his fellow passengers. Decent thriller, but starts a bit slow. A little bit too heavy on the cgi and explosions but the film has enough heart to it to continue watching. Good ending with some good twists. Stay tuned for Neeson's next scenario on a school bus. Seriously poor movie only equaled by the appalling Dolby Atmos soundtrack. Even with a large dose of "suspended belief" I could not cope with the poor holes all over the plot - if there was one! Ok, it’s not a great movie, but it is a good Friday night movie, after a glass or two of wine. Well paced , with a story to keep you guessing and Liam Neeson in his usual good form. 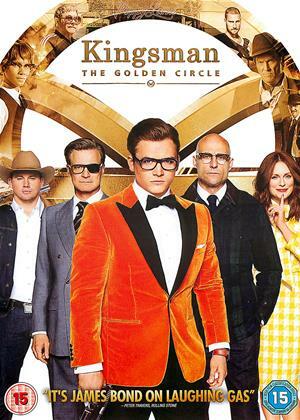 Lots of action cover up a few holes in the plot, but who cares, it is all very enjoyable and well worth our time. There are SO many movies like this these days. They start with a concept: WHAT IF...etc. Then follow an absurd fantasy plot, with loads of CGI car/train crashes, shootings, fights ALL to directly appeal to the Chinese market which demands such set pieces (look how that has RUINED Bond movies). The BEST thing about this movie if the end credits which are brilliantly designed. Otherwise it's utter hokum and nonsense - some fantasy of movie executives. AND all that CGI gets utterly tedious in the end. The plot was probably written on the back of a beer mat too (or maybe a vegan menu). Really hard going and felt like it took ages to get going. And when it did it felt painfully dull. Totally lost interest, don't usually skip through films but I did this time. I wonder if Liam Neeson could have foretold his later day career as an action hero?. Obviously Taken, a fine action film, opened doors to an endless succession of genre movies that neither stretch him nor live up to the original. So if we can suspend disbelieve a former cop is now a failed financial services salesman. Without wanting to spoil the plot the action takes place on a train and a series of unlikely twists leads to a spectacular denouement. 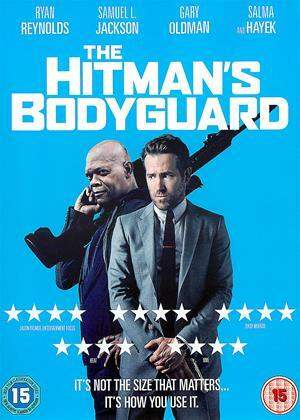 It is not great cinema but it moves along at a reasonable pace and isn't short on action. Neeson on a money spinner with all these similar films. This one a bit better done than most to be fair. Some are just back to back. Levels of needless violence are varied. 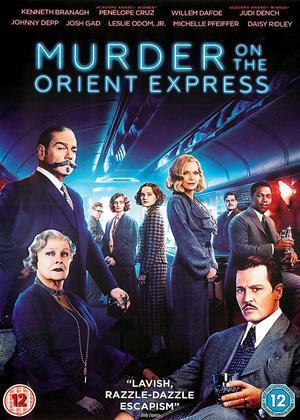 Murder on Orient Express gone to more mundane level, but better than most of his films. All a long way from Schindler's List for sure. Very formulaic and typical role for how we now see Liam Neeson. Very fast, lots of action and not a plausible plot. 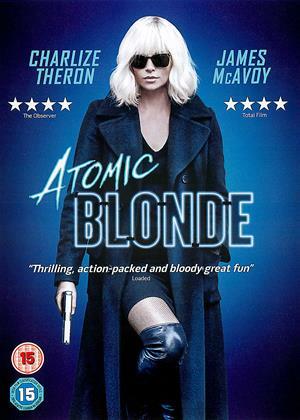 However its very easy to watch - good Friday night film- as one of the other reviewers said. Utter rubbish. So many holes in the plot in what is mostly an incomprehensible plot. Neeson and Vera Farmiga totally phoned it in. Patrick Wilson looks as if he'll burst out laughing at any moment. Ok so LN is a nice middle-class life insurance salesman just been let go, ( unfair dismissal if you ask me...) who used to be a blue-collar Irish cop ( no clichés here..) and yet he lives in the leafy detached hedge fund suburbs but also says he lives hand to mouth ( quote) wtf? wtfSo he's formerly a cop - handy. Therefore knows how to use a gun and fist-fight. Yet he's beginning to look his 65 years of age. He looks as if he should be in a role where he sits in a pub , with a pint of Guinness and a roll -up being wise and sardonic after Mass. Back to the riveting movie.....We're never told what the conspiracy is they're trying to cover up....., we're never told that the central evil character played by VF is apprehended...or did I miss the teaser for Commuter 2...no-ooooo. Make it stop. I can't be arsed to write anymore that's already enough of my life I'll never get back. Shame on you Liam. Must have been a big cheque. I'd have preferred he'd spent his time on Taken 4. This is director Jaume Collet-Serra and star Liam Neeson’s fourth action thriller after Unknown, Non-Stop and Run All Night and it seamlessly clicks into gear. Instead of the action being set on a plane (Non-Stop), this time it’s on a train. As usual, Collet-Serra’s direction is perfectly in sync with the subject matter. It bowls along with pace, precision and clarity, whether the camera is prowling around a train carriage or focussing in on Neeson’s predicaments. It’s also refreshing that, unlike other leading men, Neeson’s not scared to play a 60-year-old. It doesn’t affect the action. There’s a train fight here that’s better than anything since From Russia With Love. The far-fetched plot sometimes makes it difficult to suspend disbelief and go with the flow, but put your brain on hold for a while and it’s a fun film with rarely a dull moment. 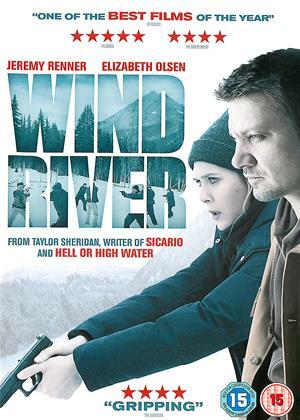 A very well acted thriller with good action shots and gripping revelations. Surreal events but an acceptable exercise in the improbable. If you think The Commuter is just a redux of Liam Neeson’s Non-Stop, swapping out a plane for a train, well, you’re not wrong. It’s the very same template with all the predictable Neesonisms we’ve come to expect from a vehicle with the aged action hero behind it. But before you dismiss it as little more than that, consider the director, Jaume Collet-Serra, the man behind Neeson’s better action movie. Granted, Non-Stop and Run All Night are not precisely original productions, but there’s just enough style and grit to make them serviceable. In this sense, Jaume once more delivers on a film that is frustratingly off but still very much engaged. Okay, let’s get the predictable plot points out of the way. Yes, Neeson plays a man with a family and a troubled life. Yes, he will be contacted by a mysterious figure on the train that demands he kill someone as part of a conspiracy. Yes, he will pick up a cell phone and start barking back at his antagonizers, despite the film’s early attempt to shake it from his hand. Yes, he will get into some heated fistfights, including getting his head shoved out a window and running alongside the train. Strangely missing though is the scene where he scales the top of the speeding train. But, of course, you will get to see that train fly off the rails. The argument of this film being bad because it’s replicating the same formula is a moot one. What matters is how much the film manages to entertain, despite its predictability. And to my surprise, Jaume still pulls in another pleasing action thriller by the skin of his teeth. His bag of tricks isn’t empty, loading up his picture with as much unique cinematography as you can have on a train. I admired his camera work that zips across the aisles, pushes through the holes in ticket stubs, and gets uncomfortably close under the train as the wheels speed towards the next stop. I also appreciated how Jaume seems to be establishing a new trademark with Neeson fighting off a bad guy with a ludicrous weapon. He did so with flaming two-by-fours in Run All Night, and now he’s fighting someone off with a guitar. His opponent is brandishing an ax; there’s probably a decent joke in there. The film still has many faults typical of Jaume’s style, the most glaring being his reduced use of a strong supporting cast. Vera Farmiga plays the stylish villain of the film in her striking zebra heels, but she spends more time talking to Neeson over the phone than addressing him in person. Patrick Wilson is a likable guy as Neeson’s old police partner, but he’s treated more like a bookend character. The same goes for the police chief played by Sam Neill, a man who or may not be corrupt. I understand why Jaume mostly shelved these actors to keep the mystery always fresh, but it still feels like a waste. The Commuter has so many twists and turns that continue to mount higher in the absurdity that after a while I stopped questioning or caring about the story. Even the director seems to understand this, shoving the MacGuffin and overarching conspiracy plot further into the back row, in favor of more action, fights, and heated exchanges. For the most part, it still works. Neeson is always a lot of fun to watch as an old and desperate man, eager for cash, but angry enough to question his antagonizers. His detective work is engaging, narrowing down the passengers he’s looking for by stops and backpacks. None of it makes for remarkably memorable film, as it’s most likely to get lost somewhere between the shuffle of Unstoppable and Under Siege 2, but I still found myself being won over time and time again, more than I did the mystery of Branagh’s dry Murder on the Orient Express. Maybe Neeson should take a whack at Poirot.